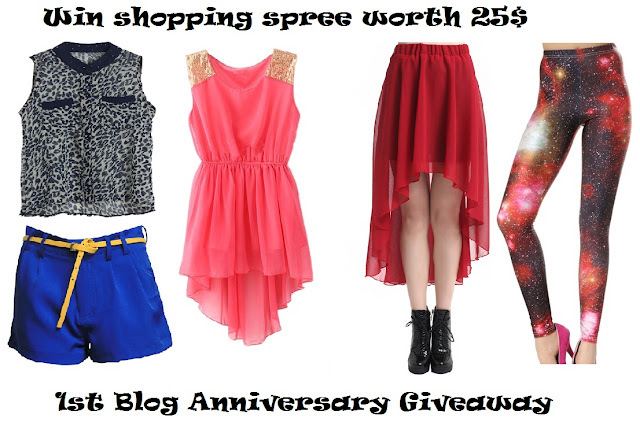 Giveaway dose: Winner of my 1st Blog Anniversary Giveaway. I will email you soon , kindly do revert within 48hrs or else i have to select a new winner. Thanks for your comment! nice blog. Follow me back as promised! Nice giveaway.Will be eagerly waiting for more. Hi, thanks for the kommentar.Wunderschöne goodies!! Very nice blog. But like I follow you now and waiting for you. Greetings Ira! Congrats to the winner!! I'm well jel.